This is the american definition of Pilates, a mindful workout that leads to a mindless results. The client is focusing mentally when he works his body, receiving all the necessary instructions and increasing the consciousness of his own anatomy and of his own movements. It's a balance deal: Pilates works to achieve balance between strength and flexibility around a joint (ie antagonistic muscle groups), that yields true flexibility and mobility. The results are a better posture, ease of movement, release of tension and stress, better health and physical well-being. 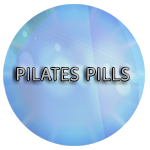 Pilates suites everybody: dancers, top athletes, people who had injuries and anyone who wants to feel better thanks to a healthy and conscious workout.